At ILSC, it’s all about you. Your educational goals, your interests, and your experience. A location can really make or break your learning adventure, and with so many cities with so much to offer, it can be hard to make a choice. Canada is a country known for its diversity, positivity, and friendliness but its cities differ as much as its landscapes. Our three school locations in Montréal, Toronto and Vancouver have something different to offer everyone. But what is it that gives each of these destinations their irresistible allure? Read on to find out. Vancouver exudes a sense of effortlessness; from its picture-perfect setting to its laid-back vibe that pulses through the streets. Nestled in-between mountains and ocean, there are endless opportunities for outdoors lovers. From thrill-inducing downhill biking and hiking a mere 30 minutes away from downtown, to a peaceful evening kayak or paddle-board. Or watch the city lights sparkle below as you ski in a winter wonderland. ILSC activities will keep you busy with Stanley Park bicycle tours, beach barbecues, yoga, trips to Capliano Suspension Bridge, volleyball club, and more! But Vancouver’s not just about nature. You’ll turn a corner and stumble across “Lights, Camera, Action!” Known as the “Hollywood North” Vancouver has a booming film industry. You’ll come across First Nations totem poles dotted about the city, and soak up history as you wander through the cobbled streets of Gastown. If you head over to Granville Island, it’s the heart of the artisan scene with fresh food markets, artisan shops, and a small, eclectic arts scene. And if you’re hungry, you’ve come to the right place. A place for foodies, Vancouver’s cuisine is ethnically diverse with a big Asian influence Asian bakeries and dim sum, and Sushi in Chinatown. Healthy living is also a big part of Vancouver living, so look out for kale, avocado and quinoa on the menu so you can fuel up for your next outdoor adventure! For a change of pace and lifestyle, head to Canada’s largest city and one of the most multicultural cities in the world. Unleash your energetic side and make the most of a vibrant music, nightlife and film scene. With more than half of its residents born outside of Canada, you get a real sense of diversity here. Wander down the narrow streets of St Kensington Market for European, Caribbean, Middle Eastern, South American and Asian vintage and second-hand goods. Shop at Lawrence Market which buzzes with specialty food goods, and a Saturday Farmer’s Market. Entertainment is one of Toronto’s selling points with a vast number of popular attractions. 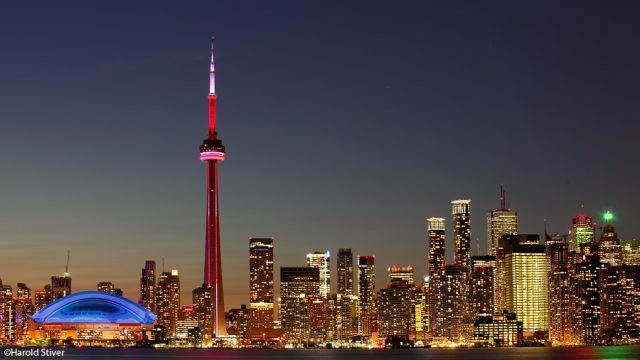 The CN Tower is one of Toronto’s most famous, standing 553 meters high. Take up the challenge of an adrenaline pumping, hands-free walk on the edge of the tower or enjoy the panoramic views from the top. Or take a trip with ILSC and visit Ripley’s Aquarium of Canada at its base. The Royal Ontario Museum, Art Gallery of Ontario, and more provide plenty of exhibits to see year-round. While Yonge-Dundas Square is a public open space that hosts lots of free events, outdoor movies and concerts. That’s not all! At ILSC, we organize board game nights, soccer and trips such as Niagara Falls Winery trip, and Poutinerie Trip. We’ve got your entertainment covered! The seasons bring their own unique sports –canoeing and kayaking at Toronto Harbourfront, or ice-skating at Nathan Phillips Square. You don’t want to miss checking out the Hockey Hall of Fame, a museum dedicated to this true national sport. 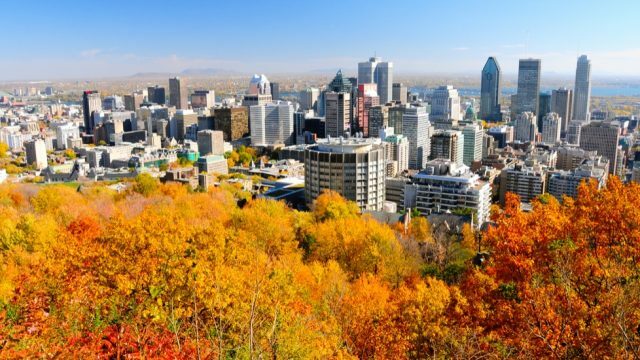 Canada’s second-largest city, and the second largest French-speaking city outside of Paris, Montréal has a certain “je ne sais quoi” that’s bound to leave you bewitched. Named after Mount Royal, a peak that looms large over the city, Montréal oozes European flair. Founded by the French, it carries remnants of its nearly 400-year-old past; Vieux-Montréal (Old-Montreal) is filled with impressive architecture, cute cafes, and cobblestone streets. Throughout the city, it’s a mix of the traditional and more cutting-edge, with the Places des Arts, and the Montreal Museum of Fine Arts, and funky, graffiti art and pop-up installations. Globally inspired cuisine has firmly become part of Montréal culture with the influence of Japanese, Italian, Mexican, French and Portuguese flavours, (a hint of this cosmopolitan city), alongside iconic Montréal favourites: bagels, Poutine, Smoked meat, and Steamies. Montreal combines affordability, old-world charm, cultural diversity and entertainment in one. 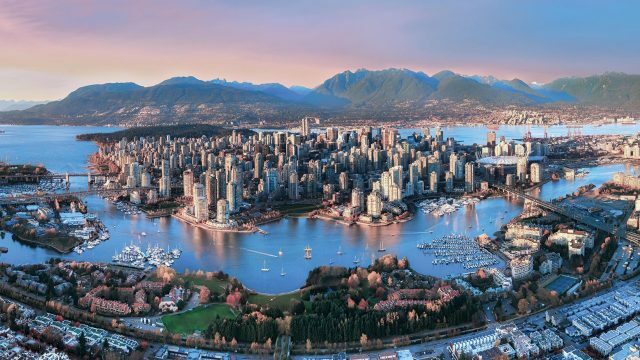 Toronto buzzes with an energy like no other city, and Vancouver will often win over hearts and is consistently voted as one of the most livable cities. What kind of experience are you after? Hopefully, we’ve given you some highlights to help you choose as you sit and dream about your next learning adventure.